The key for having a fair skin is in the skincare routine. With all the right products and techniques can truly make all the difference in the world. Most of the steps you should take are addressing how to even out your skin tone, whitens your underarms, lessening dark spots caused by sun damage and scarring. These 4 famous Filipina celebrities will surely help you achieve those fair, radiant and glowing skin! Also known as Sarah G, is widely known as the Popstar Royalty and the Philippines Ultimate Pop Superstar. Her contributions to music along with her film and television work has made her a reigning superstar of her generation. 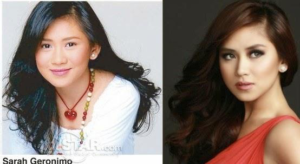 Some of her films are as known as the highest grossing films in Filipino cinema history and Sarah became a youth role model. With these achievements, Sarah needs to look good all the time. And if you are wondering why her complexion is Matteo Guidicelli’s delight, there’s only one answer to that. Sarah G lets go of dead skin by using lemon scrubs. Belo Lemon Scrubs are microbeads of lemon peel that are natural exfoliators and 100 percent biodegradable. They help scour away the outer layer of dead skin cells to improve circulation and stimulate new cell growth. With dead and rough skin already shed away, the whitening actives of the bar penetrate better into the skin. 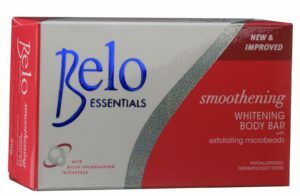 She uses Belo Smoothening Whitening Body Bar a part of her daily whitening habit that is not only making her skin whiter but also smoother and healthier. 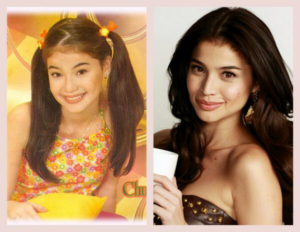 Anne Curtis is one of the most admired, most sought-after and most beautiful TV personalities in the country today. Since she first appeared on television as a carefree teeny-bopper in the late ‘90s, the public has seen her blossom into a woman. An A-list actress, performer, and host, Anne is always on top of her game. And to help her on her beauty needs, she uses Belos Underarm Duo and makes it part of her rigid beauty regimen and the secret behind her smooth, white underarms. Anne says one of the most important tips she can give to becoming and staying beautiful is to devote time to caring for your skin. And find the right products, the perfect friends for your skin.” Anne shares her another beauty discovery. The use of sunscreen. She used to think that putting on sunscreen is when only she goes to the beach. Now, she realized that she needs to use sunscreen every day. Sunscreen is the best anti-aging product. Sunscreen every day keeps the wrinkles away. With those tips, no wonder Anne indeed has naturally flawless skin. Jennylyn Mercado is an actress, singer, and songwriter. She was the winner of the first season of the reality talent competition StarStruck. Mercado garnered acclaim at a young age for her acting performances in television and film. She is known for starring in multiple box office successes. Her success in show business made her one of the top actresses in the country and established her status as the “Ultimate Star”. Most of us knew that she has dark complexion before and this was one of her biggest concern. She said she was really born dark. Because of her work, she gets exposed to the sun a lot, especially when they do outdoors shoot. One part of her skin used to end up dark, while the covered area was light. She was having a hard time to achieve an even skin tone. With the help of Glutathione injections, supplemented with oral doses of Belo Essentials Glutathione + Collagen Capsules with collagen and vitamin C, Jennylyn was able to achieve a lighter, more even glowing skin tone. She also uses body scrubs to maintain her fair complexion. Jennylyn is one of the prettiest faces today. She sings, and she acts. This woman also hosts. Toni Gonzaga doesn’t stop with just one. She works hard to find new roles and perfects them. That’s why Toni Gonzaga’s decade-long career is truly an achievement. Yet, she still kept her feet on the ground after all these years. Breeding plays a big part. Growing up, Toni’s dad had always reminded her that more than physical beauty, it is goodness within a person that counts. “It’s all about loving who you are, being confident and having good manners. My father would always tell me then that I should work more on my personality and talent rather than being too concerned about how I look,” she said. Even when she hit it big in show business, Toni never lost sight of what truly matters. “Physical appearance is important in our line of work but longevity in the business is all about talent,” explained the singer, TV host and actress. Toni applies the same in picking her personal beauty essentials. Case in point: her deodorant brand of choice. Similar to most women, Toni believes that underarm skin, just like the skin on our face and body, needs more than just whitening to be considered beautiful. One may have white underarms, but if they show signs of chicken skin, roughness or redness due to irritation, then there’s no way that she can claim her armpits are pretty. Just like Anne, Toni chose the new Belo Essentials Whitening Antiperspirant Deodorant, also known as “The Beauty Deo“. Like her, the Beauty Deo does not stop at whitening alone. It also smoothens by effectively minimizing pores, soothes skin from plucking or shaving, and gives 24-hour protection against sweat. And this gives Toni confidence to enjoy what she’s doing, on her work and being a wife to Paul and a mother to Seve. She has caught the attention of many not simply being the wife of the best boxer of all time Manny Pacquiao, but for becoming an image of affluence. 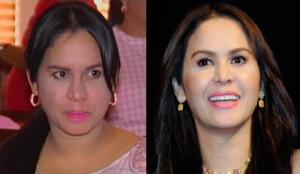 As Manny Pacquiao continues to be successful in the field of boxing and politics, Jinkee Pacquiao has become a celebrity in her own right, when it comes to her personal life, appearance, and purchases she made proving that she is now a celebrity icon. Her glowing and radiant skin absolutely plays a big part of her transformation. Jinkee is taking Belo Essentials Glutathione + Collagen Capsules to improve her skin as it is a substance which slows down the production of melanin, a source of protein that gives the skin its brown color, thereby maintaining the fairness of her skin. Jinkee also uses Glutathione Soap in order to remove the dead skin and put lotion every day to protect the skin from the rays of the sun. Now, Jinkee is more confident about herself. She also wants to serve as an inspiration to women from all walks of life, to be happy and feel beautiful every time they look at themselves in the mirror. As she always says, “Choose to love yourself more. Nothing wrong with wanting to look and feel beautiful”. Beauty—this word itself brings smiles on faces of many people. There wouldn’t be any human on this planet who wish not to be a beauty. Although there are many sayings that beauty has more to do with inner self and it lies in eyes of beholder, not to forget that it’s often associated with FAIRNESS.